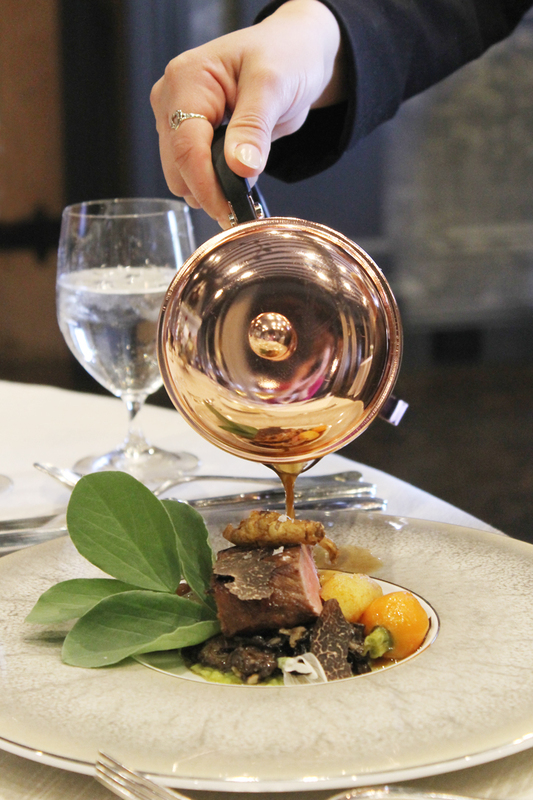 Black truffle lamb jus poured over Sonoma lamb at a typical lunch for qualifying Jordan winery rewards members. 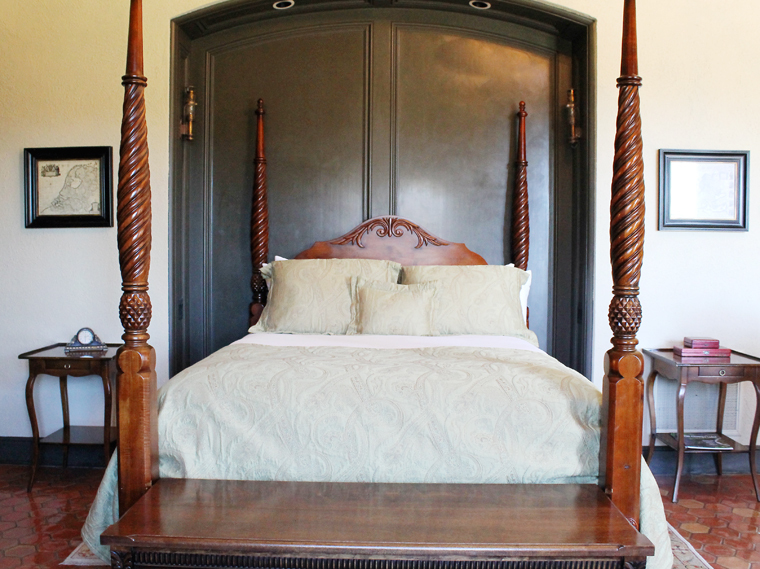 The other day, I found myself waking up to the sun coming up over the Jordan Estates vineyard in Healdsburg, along with the pitter-patter sound of workers inspecting the barrel room next-door to my four-poster suite. Yes, some rewards programs offer the opportunity to upgrade an airline seat, get store gift certificates or even cash back. Jordan does something quite different. It allows you to accrue points that can be used toward posh private wine tastings, decadent dinners prepared by its own chef or even overnight stays like this in one of its three private suites on the property. 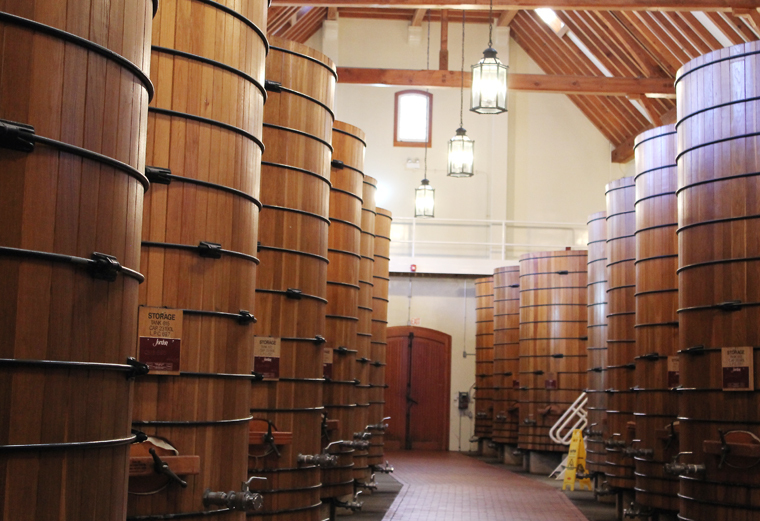 It’s enough to practically make you feel as if you’re the queen — or king — of your own winery. If for a few hours, anyway. 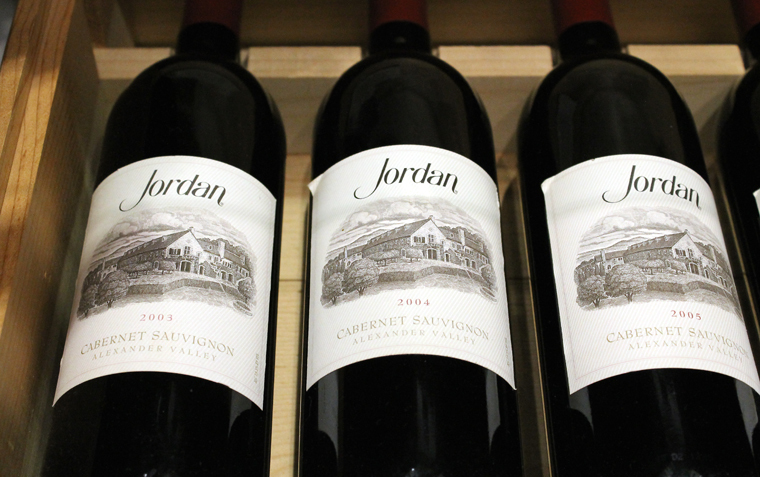 Jordan has vanquished the typical wine club, which usually requires members to purchase a case of wine every month. Instead, what you purchase — and when — is entirely up to you. Plus, the points never expire. You earn three points per dollar spent. And when you join the program, you automatically get 3,000 points. There are three membership levels: Silver (when you spend $500 in your lifetime), Gold (when you spend $2,500) and Platinum (when you spend more than $5,000). Once you reach one of those levels, you gain access to a selection of experiences that will cost you a certain number of points plus a monetary amount (since California law prohibits freebies with purchase of alcohol). Bottles in the winery’s shop. 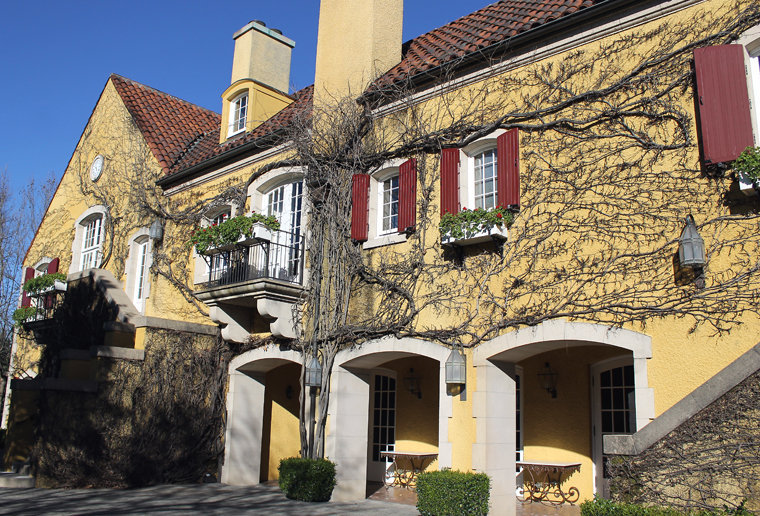 Situated at the top of a knoll in the Alexander Valley, not far from downtown Healdsburg, the picturesque winery was established in 1972. 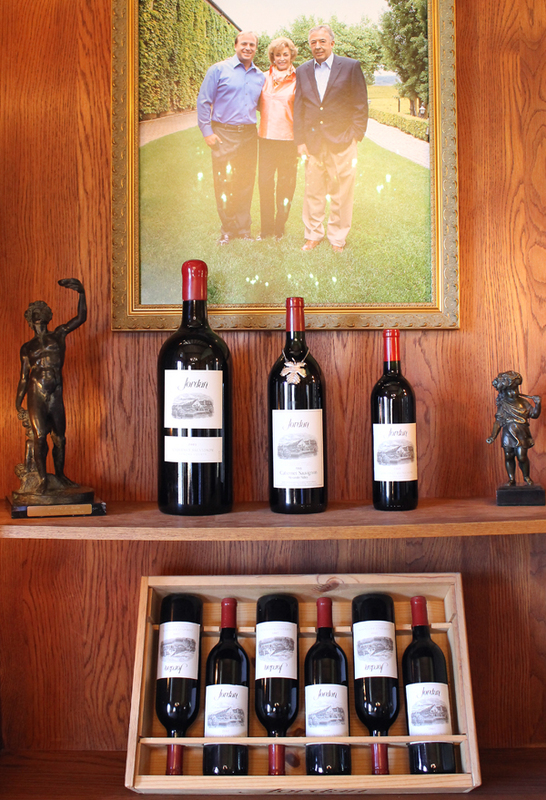 Former Denver petroleum geologist Tom Jordan founded the winery with his wife Sally after falling in love with Bordeaux wines while traveling in France. 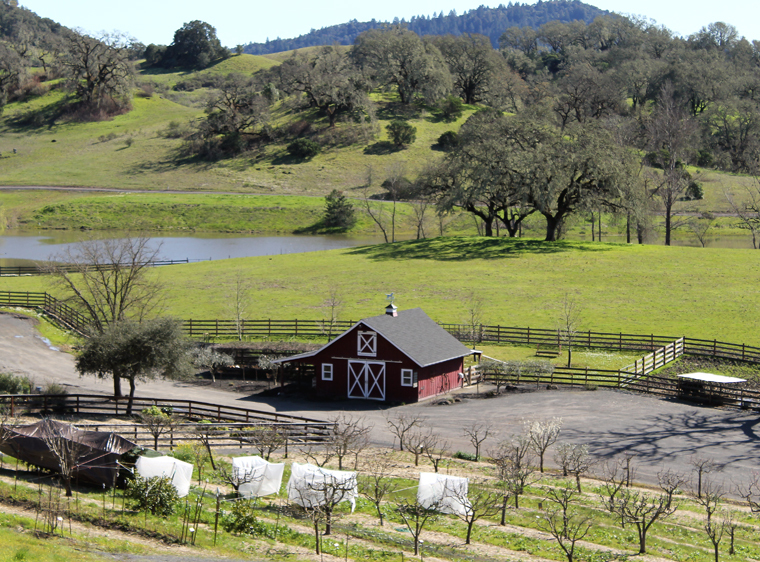 They decided to move to the Alexander Valley with the hopes of bringing a taste of France here in the making of Old World-style Chardonnay and Cabernet Sauvignon. A taste of Chardonnay to start the tour. 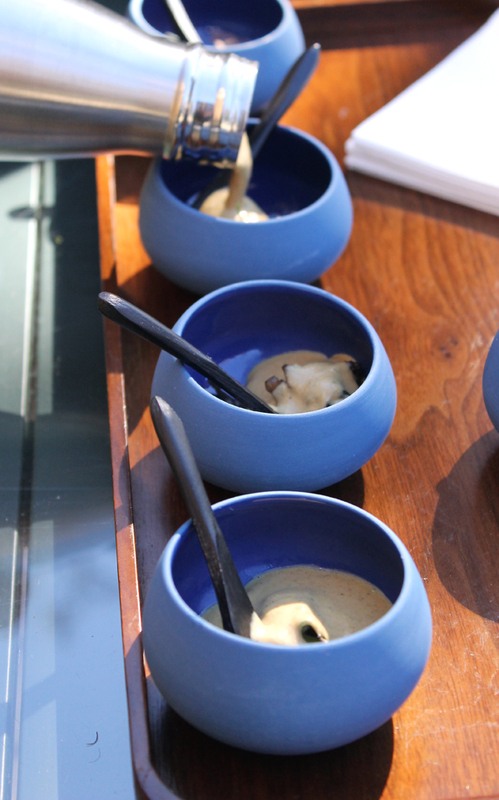 With an amuse of mushrooms and veloute. The day they signed the papers for the property, their son John was born. Today, he runs the place. U.C. 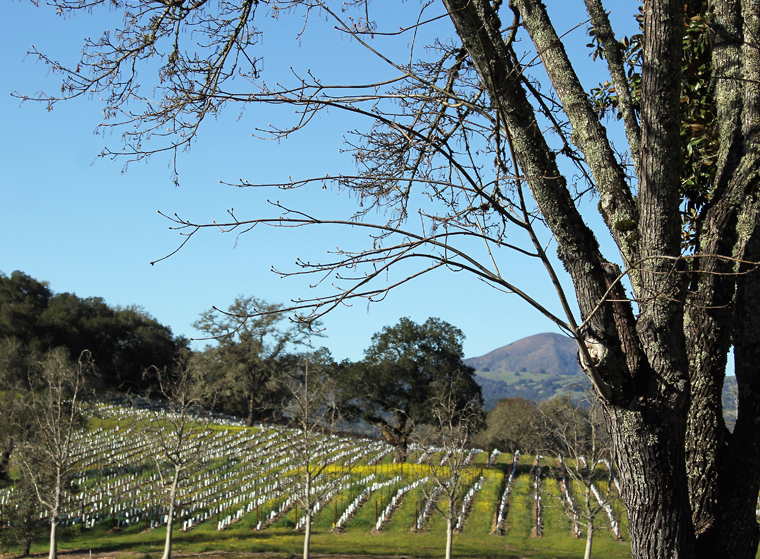 Davis graduate, Rob Davis, started as the winemaker for the first vintage in 1976 — when he was only 22. Today, he still oversees the wine-making, making him the longest-tenured winemaker in Sonoma County. Each of these holds 6,000 gallons. 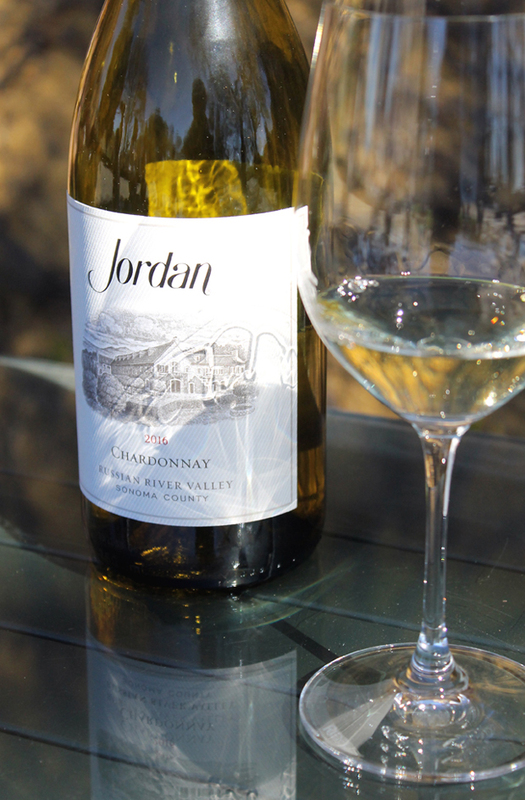 Jordan produces 100,000 cases of wine annually, 70,000 of which is Cab and the rest Chardonnay. The Jordans have stayed true to their vision, never wavering in growing other varietals, though it does partner with France’s AR Lenoble to produce Champagne. Because tastings and tours are available only by appointment, you get individualized attention rather than be forced to jockey for space with hordes at a crowded tasting counter. 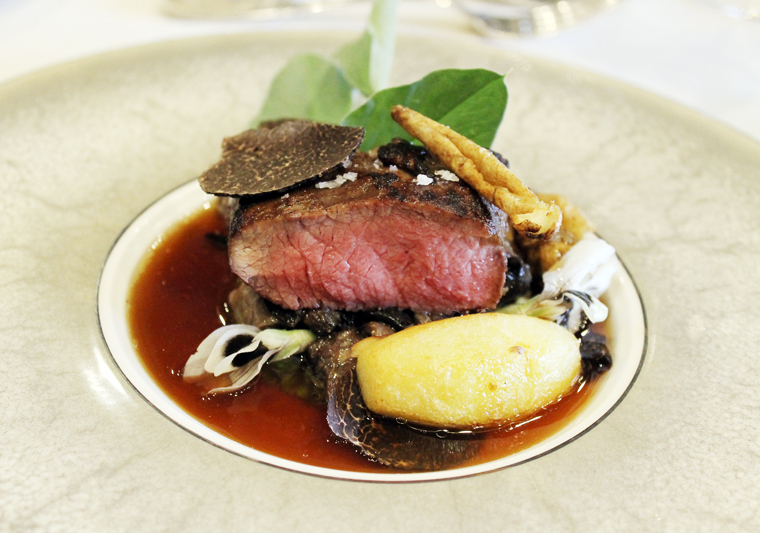 Our tour started with a glass of 2016 Chardonnay with a gift from winery Chef Todd Knoll — wild mushrooms with a shaving of black truffles over which a mushroom veloute seasoned with cumin was poured. 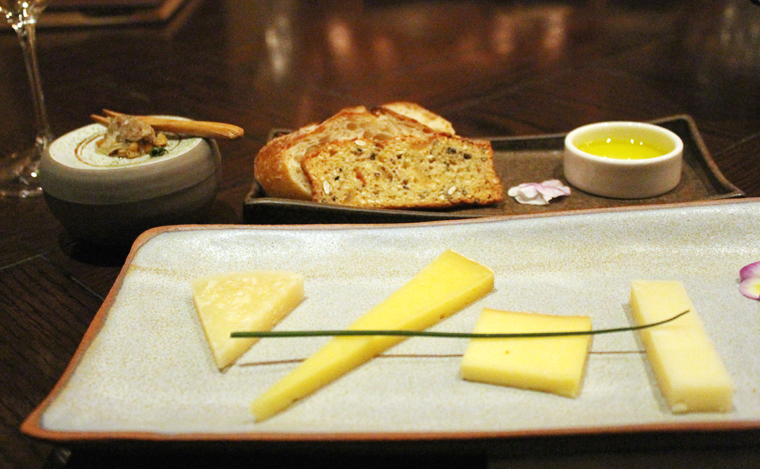 With a selection of cheeses. 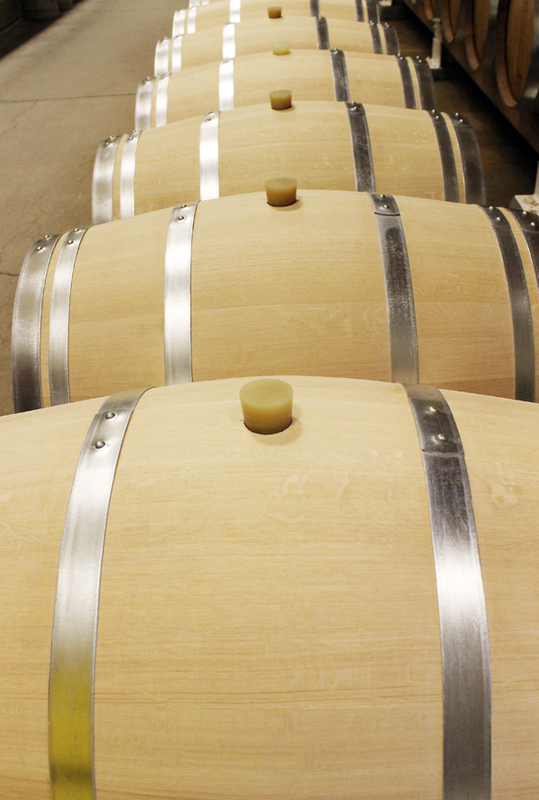 Then, it was on to a walk-through of the fermentation and barrel rooms. 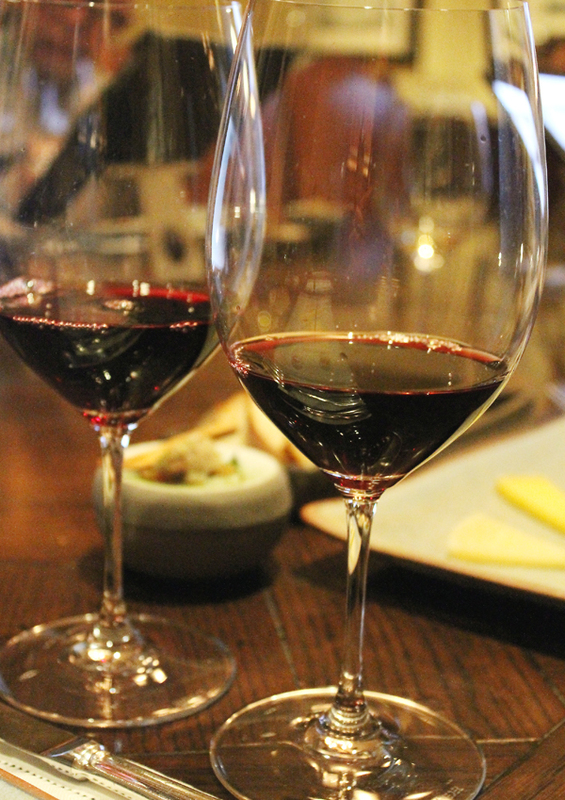 That was followed by a sit-down tasting in the library with a cheese plate alongside the 2014 Chardonnay that sports more caramel and toasty notes than the 2016; the 2010 Cab that’s velvety, earthy and herbaceous; and the 2014 Cab that has more pronounced tannins and a long finish of blackberries and violets. The sitting area in the suite. 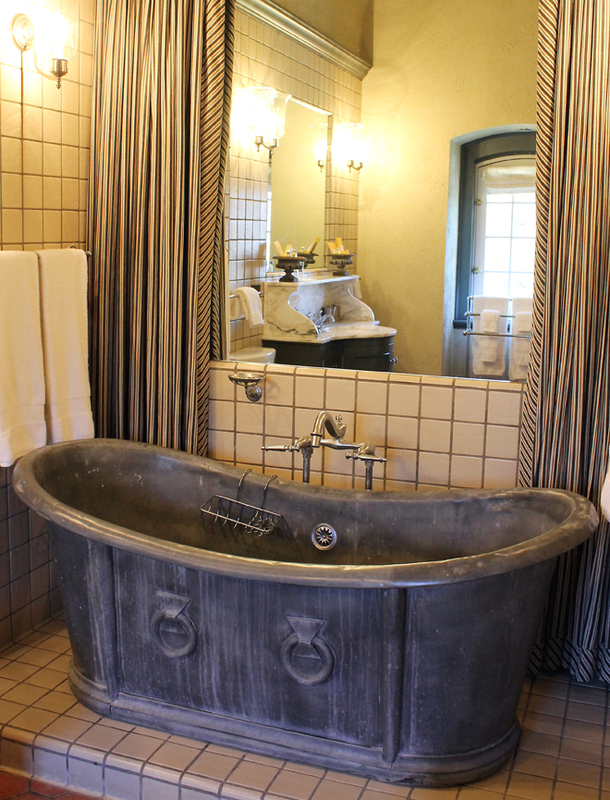 The ample suites have a sitting area with fireplace, a four-poster bed, and an ornate steel bathtub. 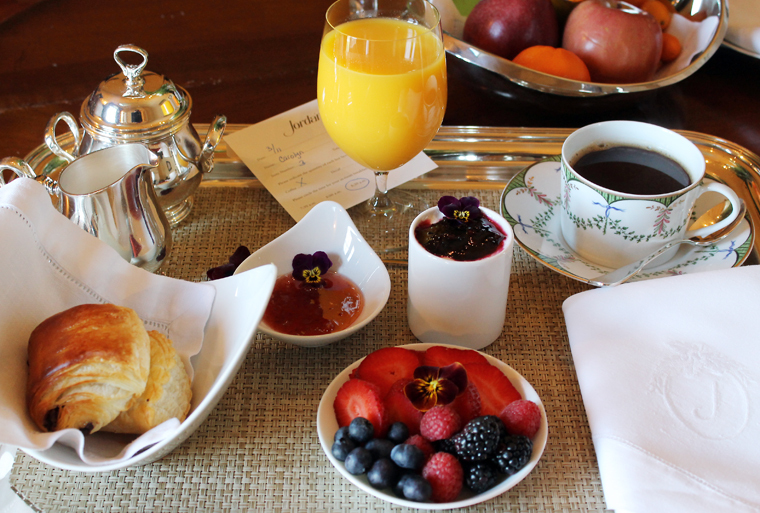 Continental breakfast is delivered to your room with yogurt, fresh fruit, juice, and pastries. Breakfast delivered the next morning. 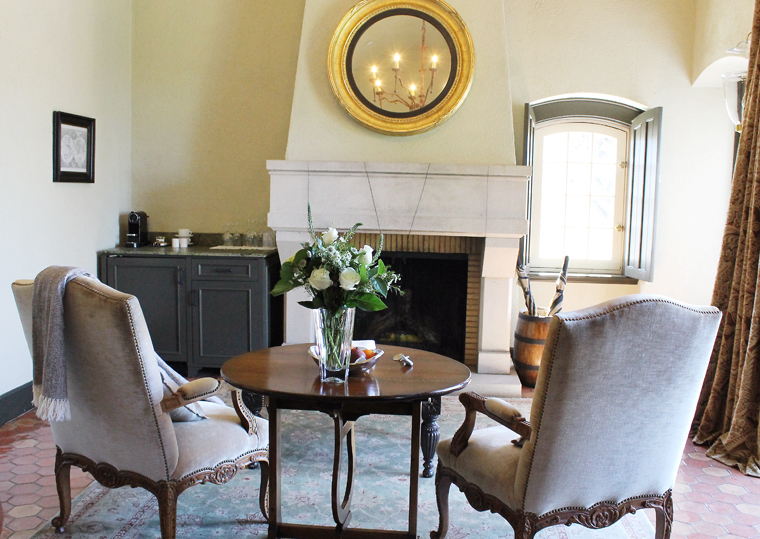 The fresh flowers in vases in the room and that adorn the chateau are grown on the property. 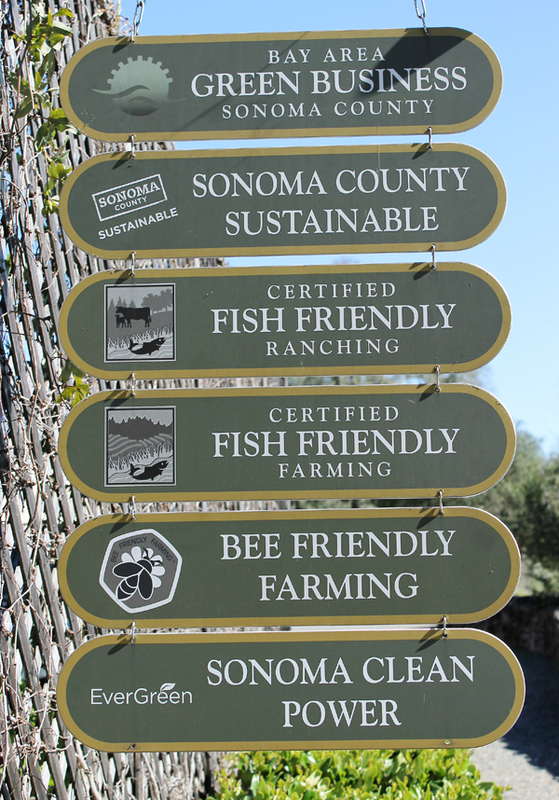 The sustainable estate garden also grows more than 100 different types of produce, which are incorporated into dishes at special culinary events at the winery. There is also an 18-acre olive grove from which Jordan makes its own olive oil, as well as hives from which it gets honey. There is even Angus cattle, which will eventually be incorporated into the culinary program, as well. A closer look at the striking wallpaper. 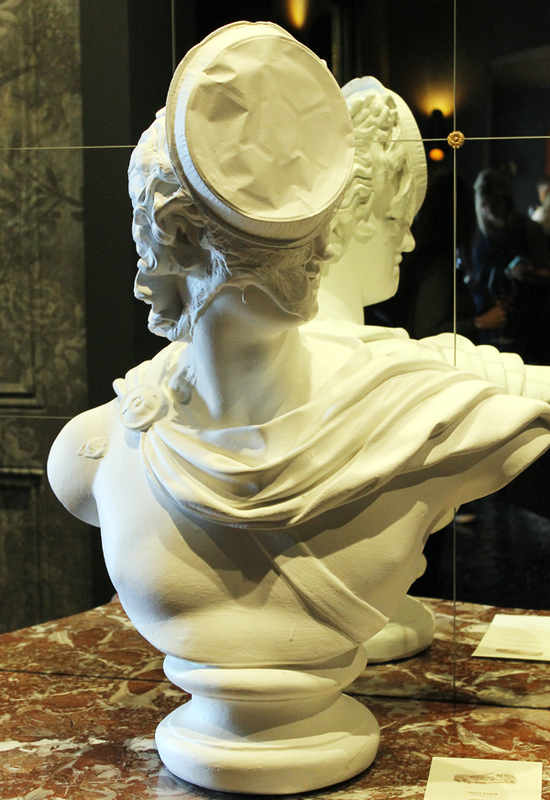 The tongue-in-cheek “Piethian Apollo” by New York artist Stephen Antonson. 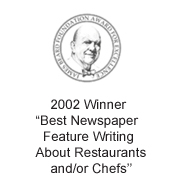 Chef Knoll, who formerly cooked at the Ritz-Carlton San Francisco, and his wife Nitsa Knoll, who oversees the winery’s lodging and hospitality, were largely responsible for the look of the newly remodeled dining room. The previously bright Mediterranean decor has been replaced with a dramatic, moody elegant look by San Francisco interior designer Geoffrey De Sousa. 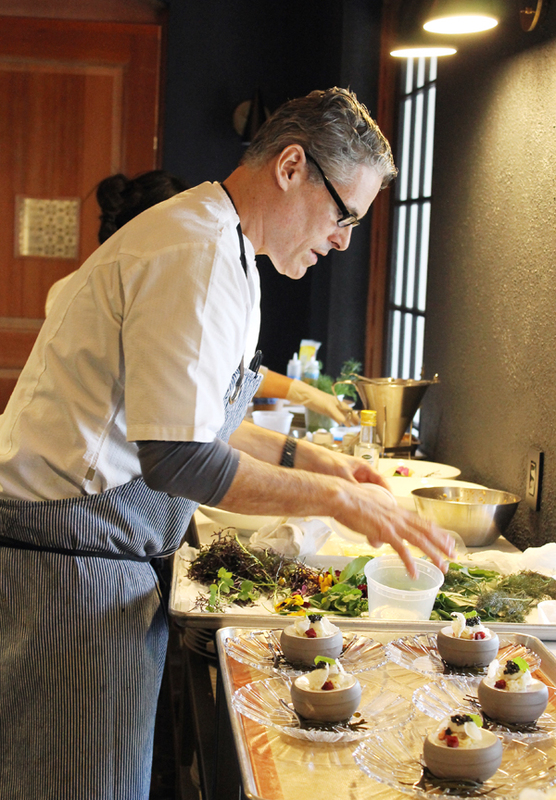 Executive Chef Todd Knoll prepping lunch. 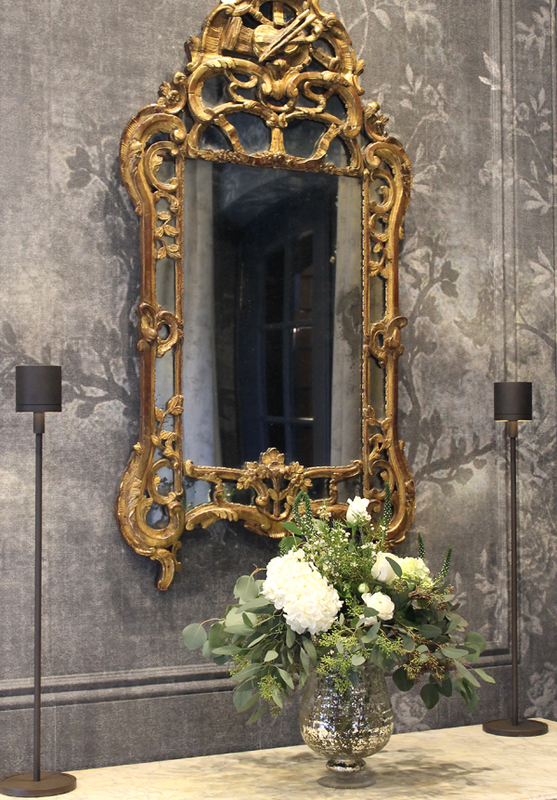 The walls are done up in striking wallpaper created by Milan graphic designer Lorenzo De Grandis in a woodlands flora print of deep gray and gunmetal hues. 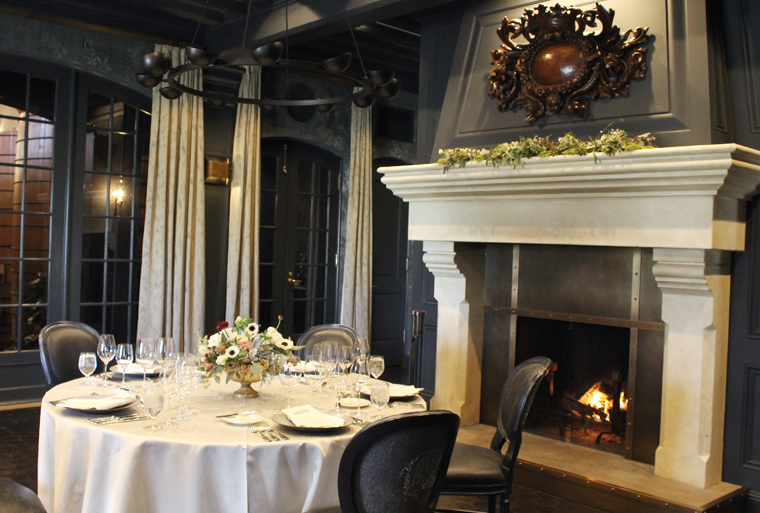 With a fire roaring in the grand fireplace, it makes for quite the ensconced setting for lunch. 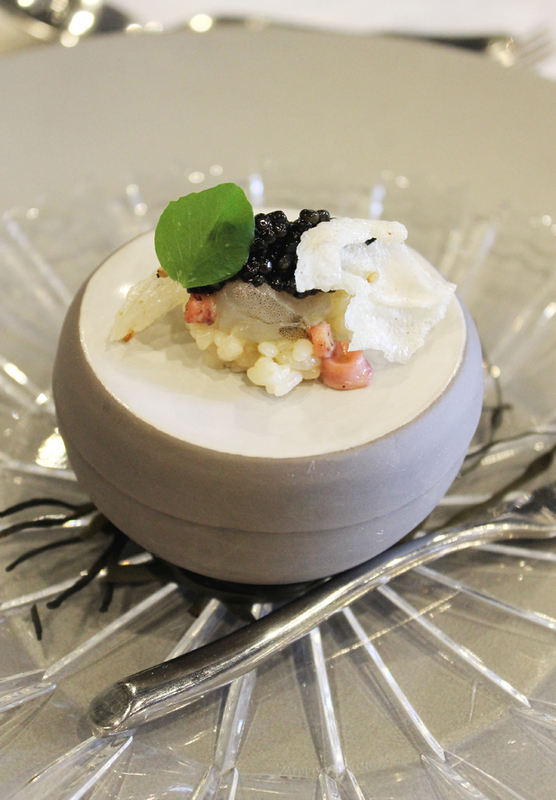 The repast begins with Jordan’s own caviar (made in conjunction with Tsar Nicoulai) dolloped onto matsutake rice with Knoll’s take on umeboshi made with dehydrated plums. It’s served with a flute of non-vintage Jordan Cuvee by Champagne AR Lenoble that’s lively, crisp and redolent of apples and pears. 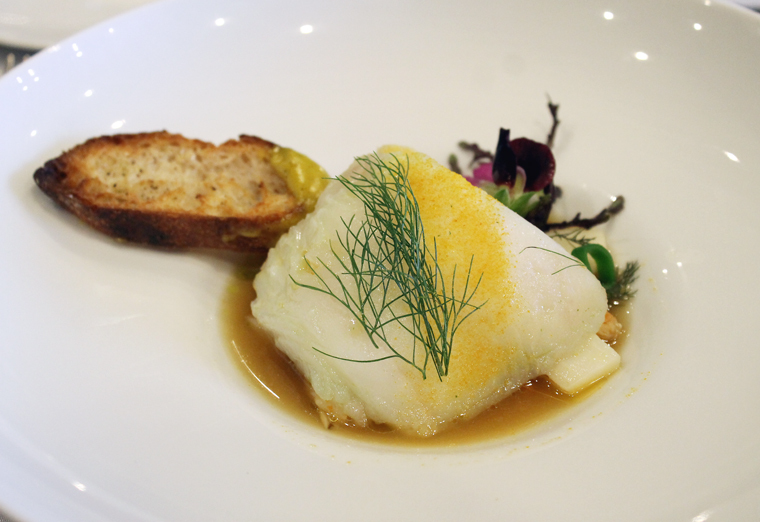 A glass of 2016 Chardonnay Russian River Valley, with notes of citrus and plenty of crisp acidity, pairs beautifully with the herb-oil poached California halibut, served with a chilled Dungeness crab consomme. Hiding underneath are spears of white asparagus — the first ones harvested from the estate garden. Halibut with white asparagus from the garden. 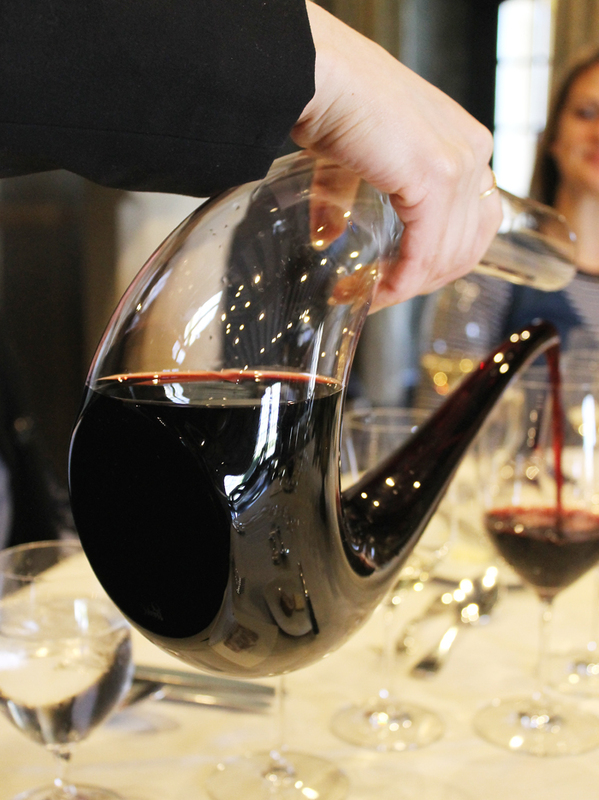 The 2015 Cabernet Sauvignon Alexander Valley gets extra love, poured into an artsy decanter before serving. The first vintage made entirely in French oak (which the winery is transitioning to completely), it’s an elegant wine with loads of blackberry shining through along with hints of earth and vanilla. It’s served with succulent Sonoma lamb with Mendocino mushrooms, and a Perigord truffle lamb jus poured over at table-side. 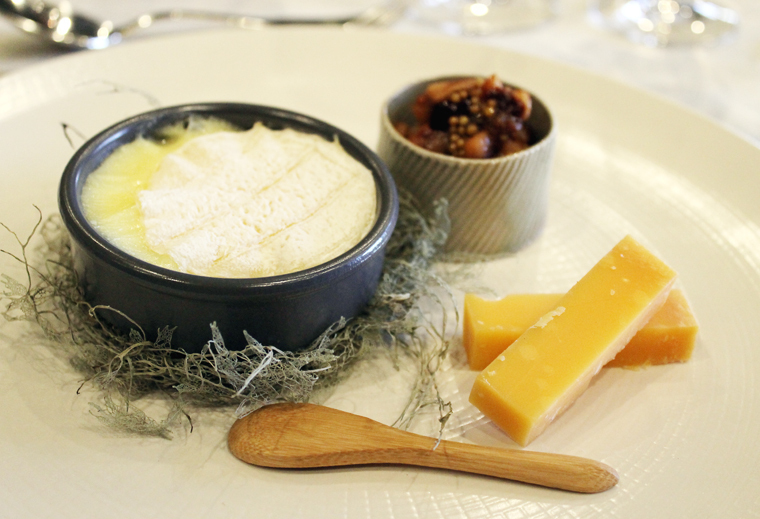 The 2005 Cabernet Alexander Valley, bolder in dried dark fruit and bigger in tannins, accompanies an ooey-gooey cheese course of warm Vermont Creamery St. Albans with house-made winter mostarda, and a few slices of Fromagerie L’Amuse Signature Gouda for good measure. 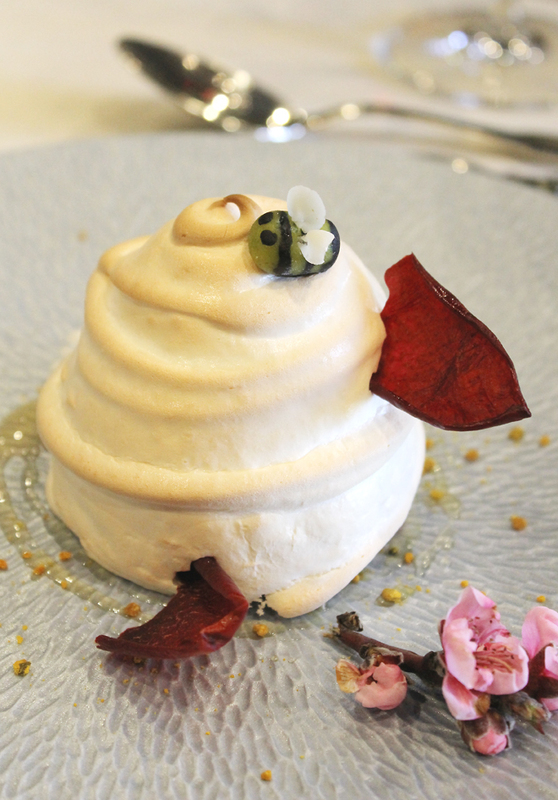 Lastly, there is the most adorable dessert — individual Tupelo honey Baked Alaskas with a torched swirl of meringue hiding honey ice cream and a layer of tender cake. Look closely and you’ll even spot a bee on top, made of marzipan. If you are feeling gold or platinum envy at this point, Jordan does host other events that are open to non-reward members, too, such as its May 4 “Spring Dinner with the Winemakers” ($295 per person). Me? I’m just hoping that Jeeves takes pity on me and invites me back some day. 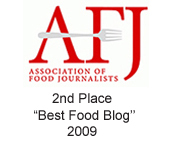 Jeeves? Now, where did he go? 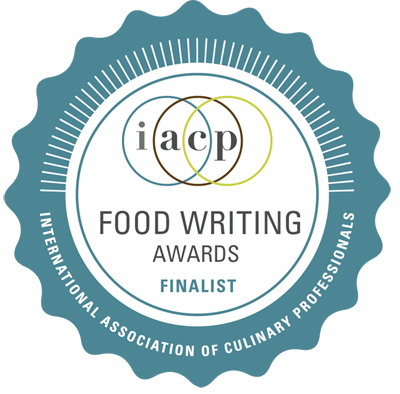 What a wonderful and delicious experience. It does make you think of France, except the red barn perhaps.